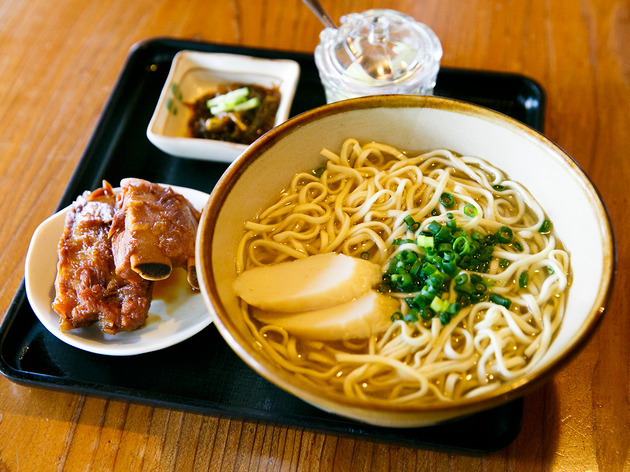 Okinawan soba is the local version of ramen, commonly eaten for lunch and to finish off a multi-course meal. 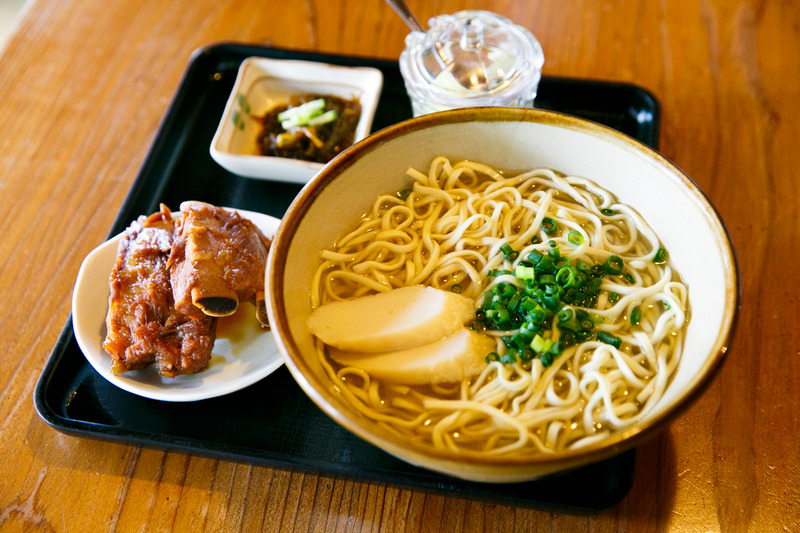 It's set apart by the broth, drawn from pork and skipjack tuna, as well as the thick Chinese-style noodles. Adjust the flavour to your liking by steeping the noodles in awamori liquor infused with local chilli peppers, and top your bowl with some pickled ginger. Central Naha is home to numerous well-known soba shops, but we recommend heading to the slightly out-of-the-way Shimujo, which serves particularly lip-smacking fare. 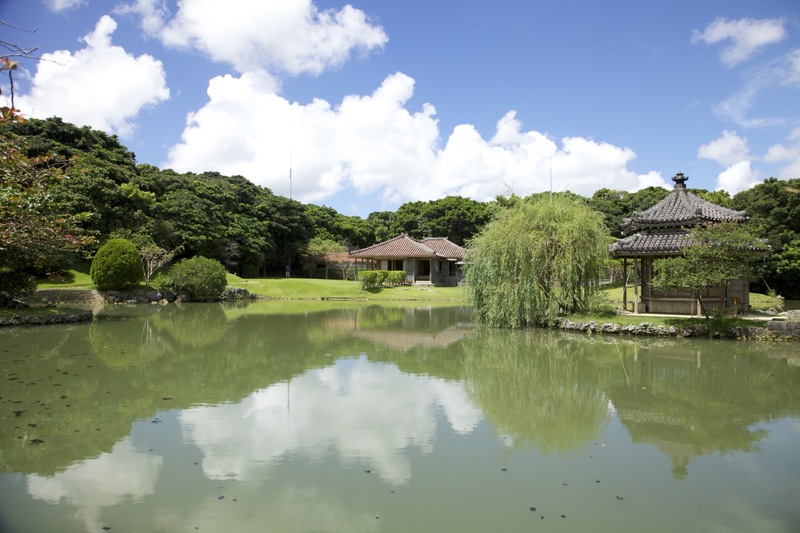 Kick back and relax while looking out over historic gardens, stone fences and the traditional Okinawan guesthouses that are known as kominka. Shimujo. 2-124-1 Shuri-Sueyoshicho, Naha-shi. 11.30am-3pm (or as long as stock lasts), closed Wed. 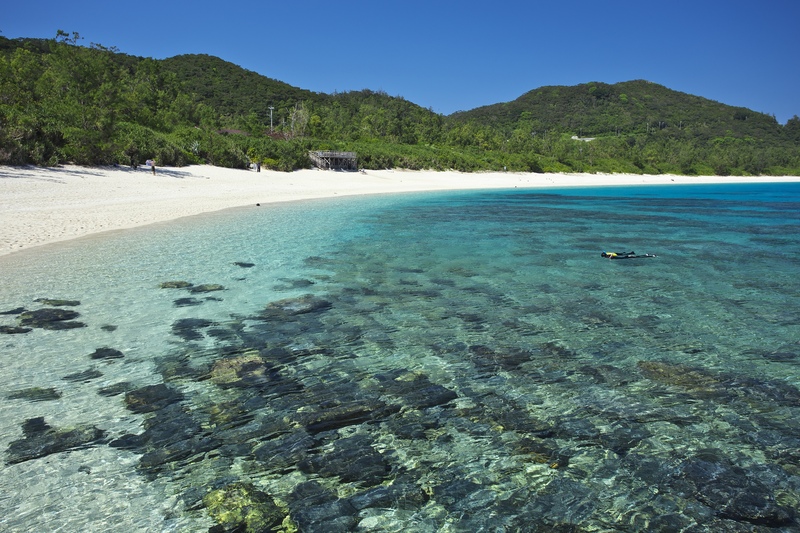 The largest of the Yaeyama Islands, Iriomote boasts the second-largest surface area of all the islands in Okinawa prefecture. 90 percent of it is covered by a subtropical old growth forest, so Iriomote is a treasure trove of natural beauty. Choose from the wide variety of tours that let you experience the wild surrounds, including a 'stroll' (more like a hike) through the jungle, a kayaking tour and a snorkeling experience. If you're lucky, you might even come across the rare Iriomote wildcat. 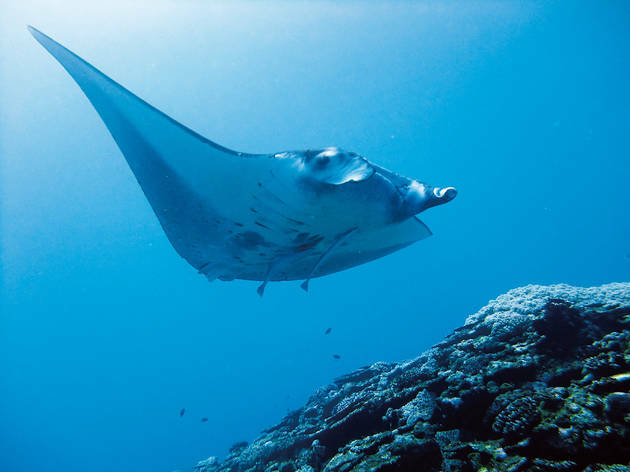 Iriomote Osanpo Kibun. 10-89 Uehara, Taketomi-cho, Yaeyama-gun. 9am-9pm. english.iriomote-osanpo.com/index.html. 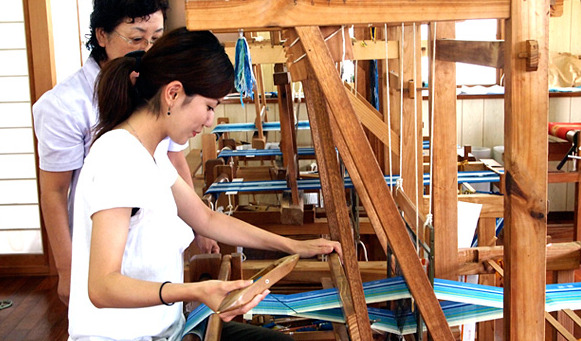 Minsaa is a local type of fabric that has been passed down through the generations on Ishigaki and Taketomi islands. This plain-weave cotton textile is distinguished by the messages imbued in its design. Alternately interlacing four and five pre-dyed kasuri (dyed fabric or fibers) of different colours carries the meaning 'May you be together forever and through all ages'. 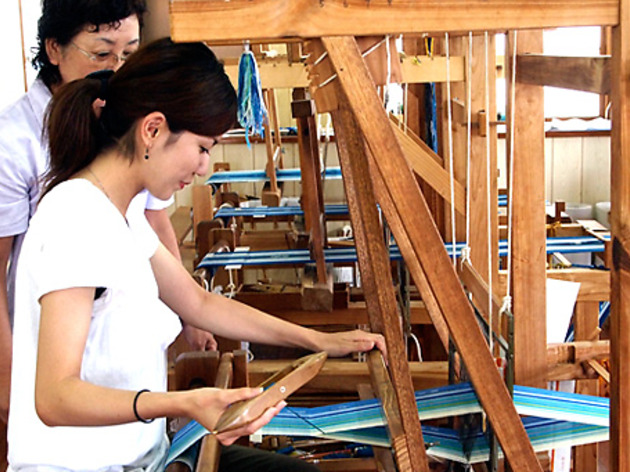 At the Ishigaki Island Minsaa Kogeikan (Arts and Crafts Museum), you can actually try your hand at making the fabric (pick up your creation at the museum on the following day), in addition to touring a studio where minsaa is made. Minsaa Kogeikan. 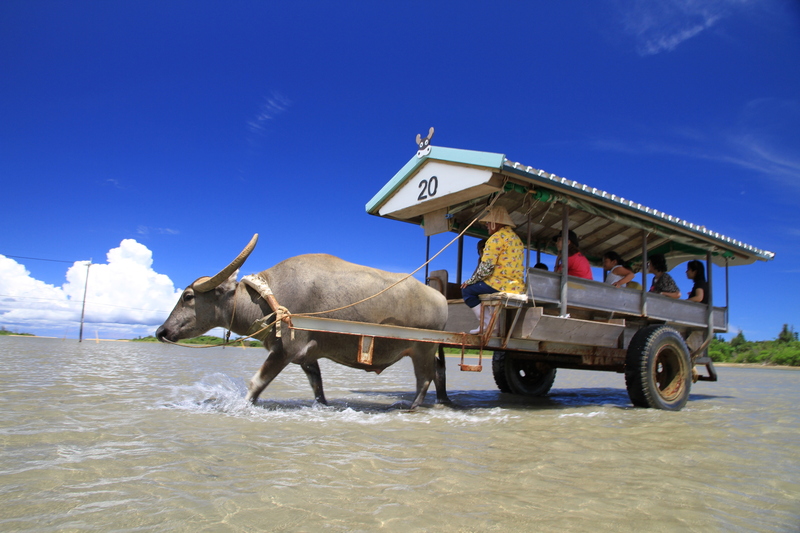 909 Tonoshiro, Ishigaki-shi. 9am-6pm. 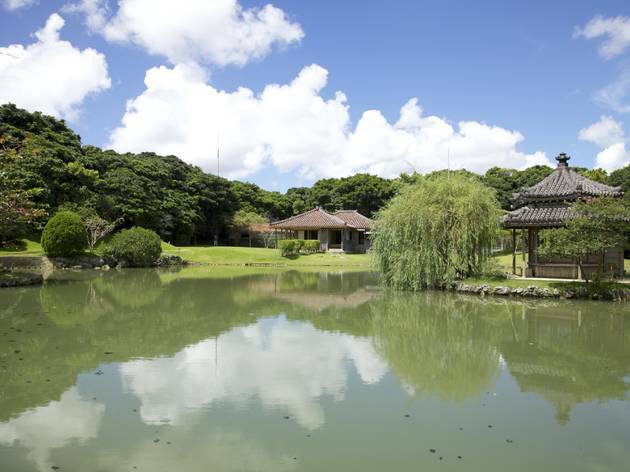 Built at the end of the 18th century as a holiday home for the Ryukyu royal family, the Shikina-en residence was once used to entertain visiting dignitaries from China and exudes a sense of elegance. Entering through the front gate and passing through the wooded path, the scene ahead of you unfolds suddently, with a sparkling pond coming into view. The cool, clear water spouting out of the fountain and the rich, lush landscapes make this a wonderfully peaceful spot. Shikina-en. 421-7 Maaji, Naha-shi. 9am-6pm (Apr 1-Sep 20), 9am-5.30pm (Oct 1-March 31). 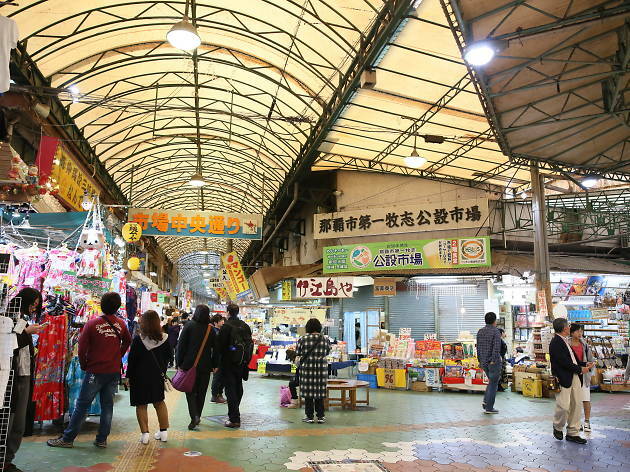 Naha's Kokusai-dori is lined by izakayas that invite you to savour local delicacies while listening to Okinawan folk songs. Sometimes cheerful, sometimes sad, these melodies draw on Okinawa’s not always blissful history and the spirit of its people, who never lose hope – no matter what circumstances they face. 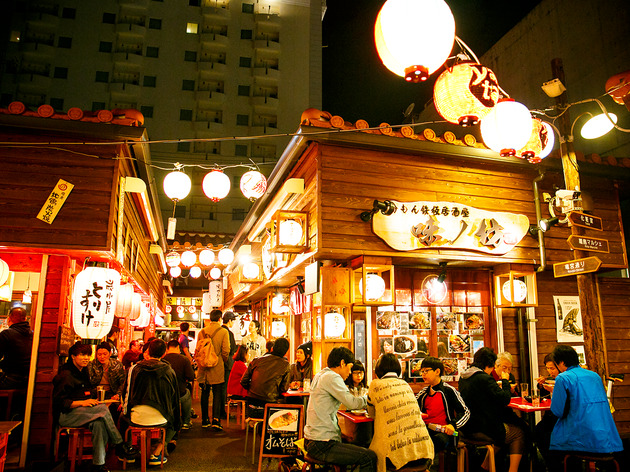 Try hopping from one eatery to the other, but don't miss Jizake Yokocho, the entrance to which is located inside a drug store, and lend an ear to the beautiful tunes with a glass of awamori in hand. Minyo Izakaya Jizake Yokocho and other izakayas on Kokusai-dori. 2F, 2-8-13 Matsuo, Naha-shi. 6pm-11pm. 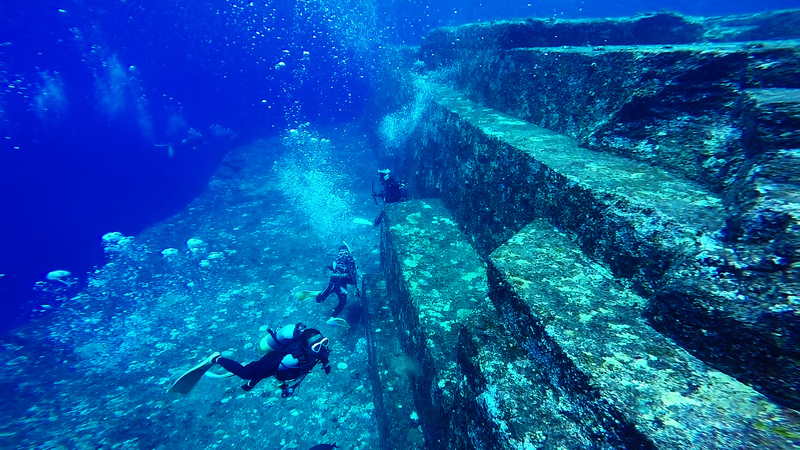 Remnants of World War II are everywhere in Okinawa. Two of the most solemn monuments are Peace Memorial Park, located on the southern tip of the main island, where some of the fiercest clashes took place in 1945, and the Old Navy Headquarters Bunker in southern Naha. Commemorating the countless lives lost during the Battle of Okinawa, these are well worth a visit even if you aren't that into history. 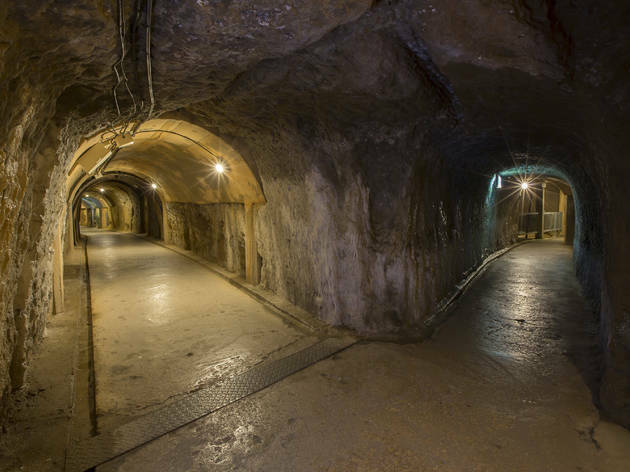 The bunker is particularly haunting, as its walls still bear scars from the shrapnel that hit them when the Japanese soldiers holed in here decided to take their own lives with grenades. Old Navy Headquarters Bunker. 1066 Oroku, Naha-shi. kaigungou.ocvb.or.jp/english. 8.30am-5.30pm (Jul-Sep), 8.30am-5pm (Oct-Jun). 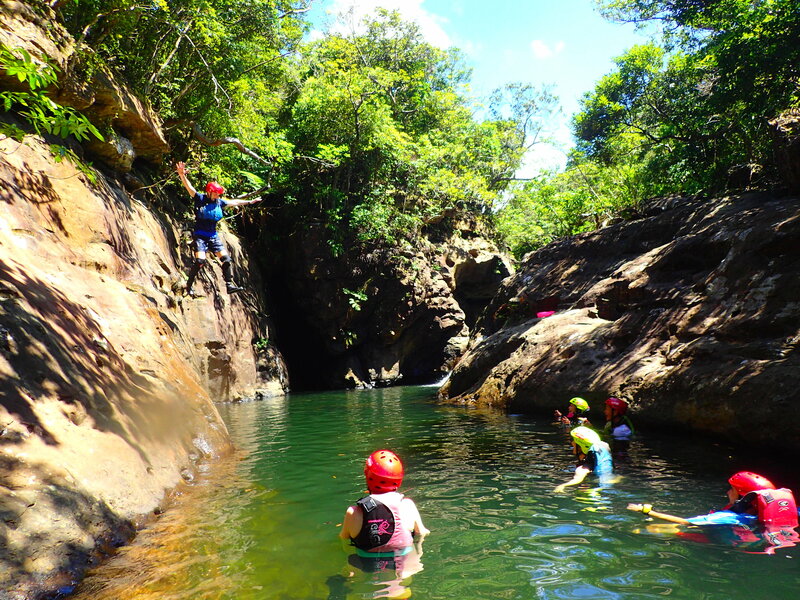 Although many travellers prefer to create their own itineraries, sometimes there just isn't enough time to explore freely. 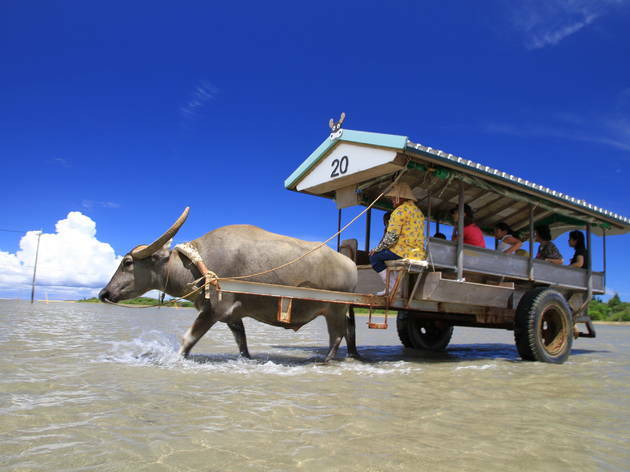 These affordable and convenient tour packages are ideal if you want to enjoy the charms of the Yaeyama Islands, including Ishigaki, with minimum hassle. While you might lose out on the fun of planning, the experience itself will be more than fulfilling. Hirata Tourism. Inside Ishigaki Port Rito Terminal, 1 Misakicho, Ishigaki-shi. 7.30am-6.30pm. hirata-group.co.jp/english. 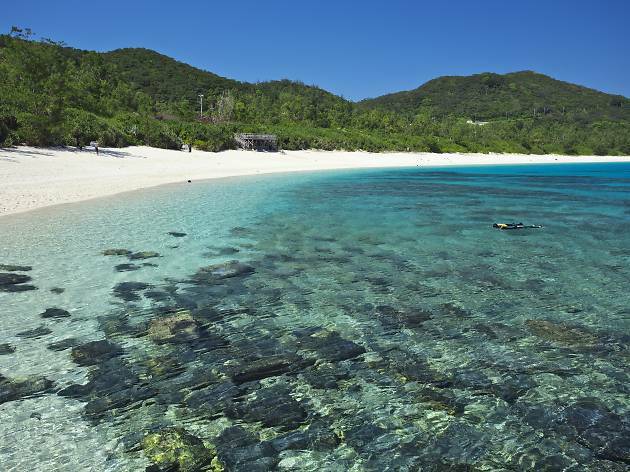 Premium black wagyu cattle grow strong in the warm climate of the Yaeyama Islands. Ishigaki beef is one of the island’s local delicacies, with its rich and flavourful taste having just the right amount of greasiness. 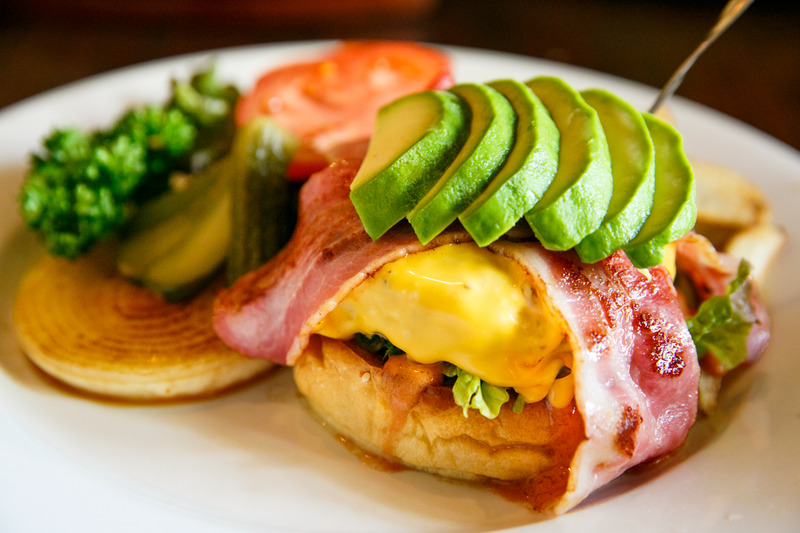 Commonly eaten in steak and yakiniku form, Ishigaki beef is also found in burgers – the best of which you can find at the decidedly laidback Corner’s Grill. 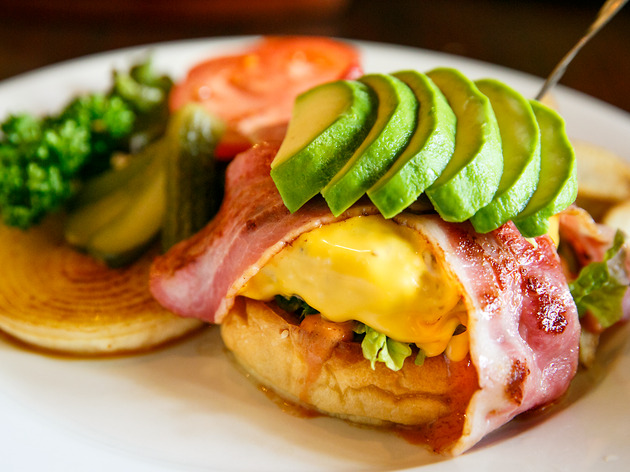 Corner's Grill. 258-1 Okawa, Ishigaki-shi. 11am-6pm (last orders 5pm or as long as stock lasts). 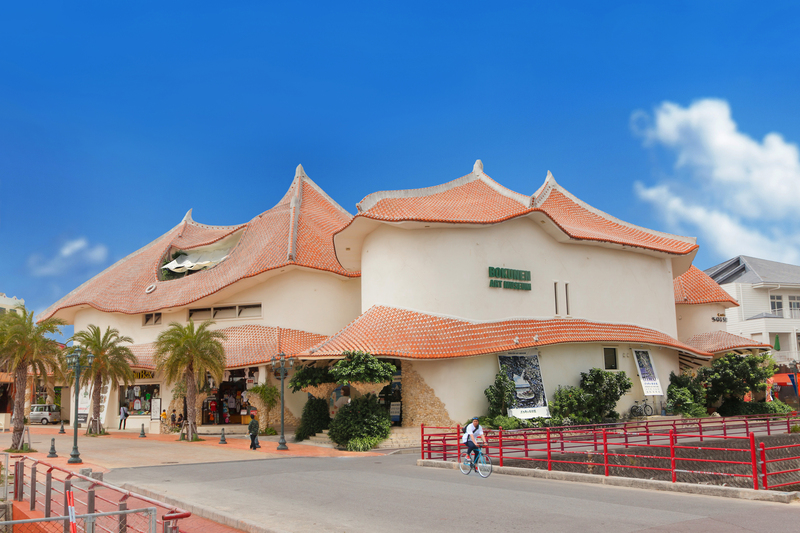 Bearing the name of Bokunen, one of Okinawa's most influential artists, this museum exudes the spirit of an innovator famed for his dynamism and subtle sensibilities that draw on the age-old island spirit. 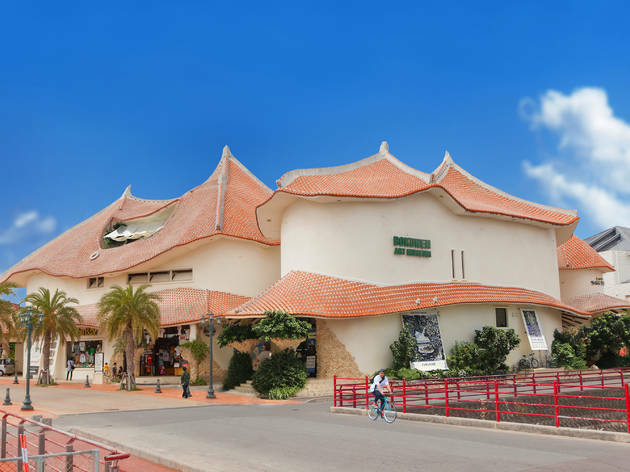 The museum is part of Akara, a Bokunen-designed complex that also includes an Okinawan taco shop and an observation deck from which to admire the ocean outside Chatan. Bokunen Art Museum. 9-20 Mihama, Chatan-cho, Nakagami-gun. 11am-8pm. 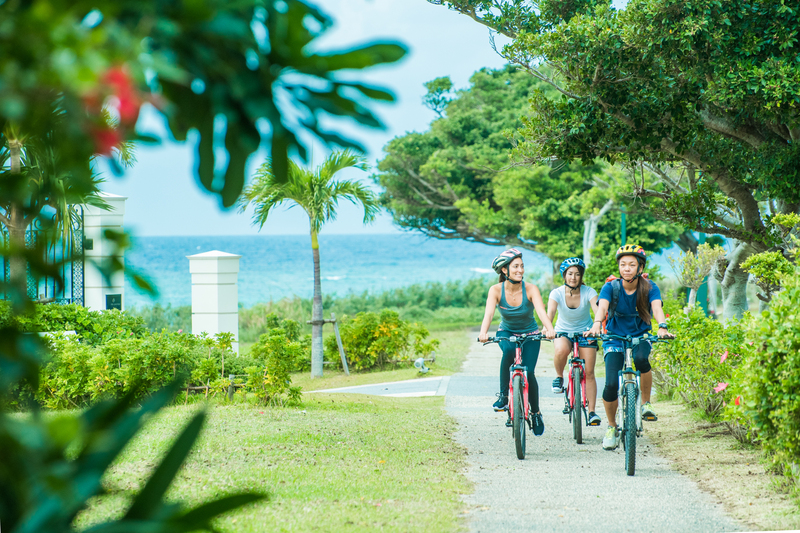 Part of the Yaeyama Islands, Taketomi retains an air of serenity despite being only ten minutes by high-speed ferry from the much larger Ishigaki. 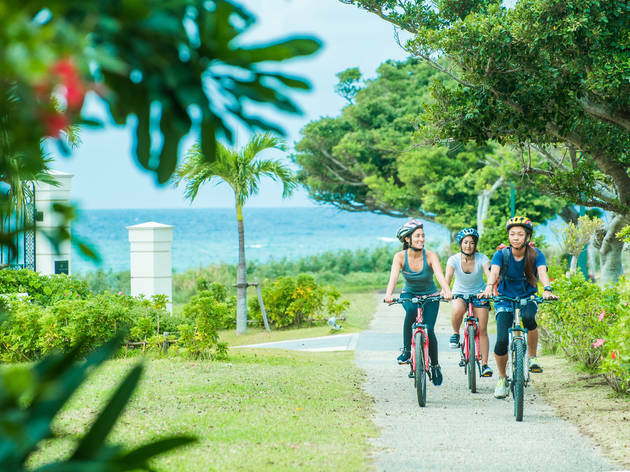 Renowned for its historic townscape and beautiful nature, the island is home to a luxurious Hoshinoya Resort hotel complex that caters to high-rollers in search of some peace and quiet. Modelled on a traditional village, it combines all the modern comforts you could ask for with top-of-the-line service. 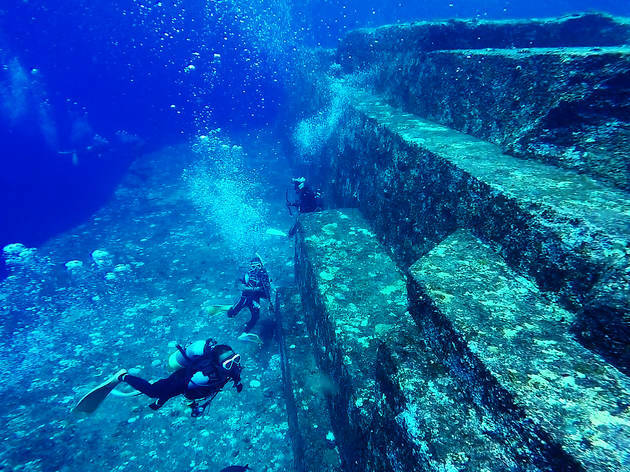 Hoshinoya Taketomi Island. Taketomi, Taketomi-cho, Yaeyama-gun. hoshinoyataketomijima.com/en. Although awamori is Okinawa signature liquor, the hot and humid climate of the islands has also given rise to some excellent beer. 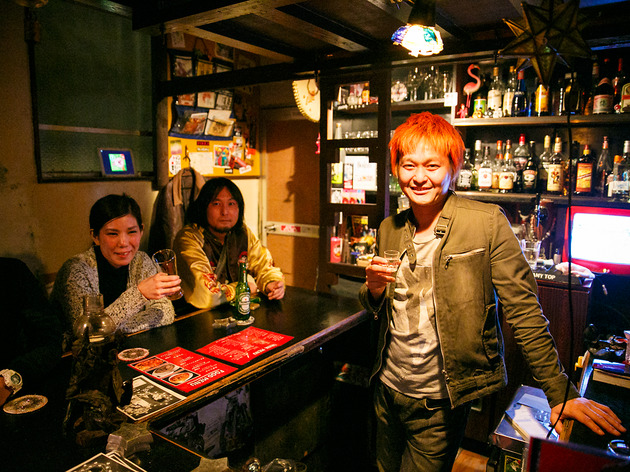 Down a pint of Orion in the bar district of Sakaemachi, found right by Asato Station and frequented by everyone from local old-timers and street musicians to young activists, up-and-coming comedians and – yes – cats. 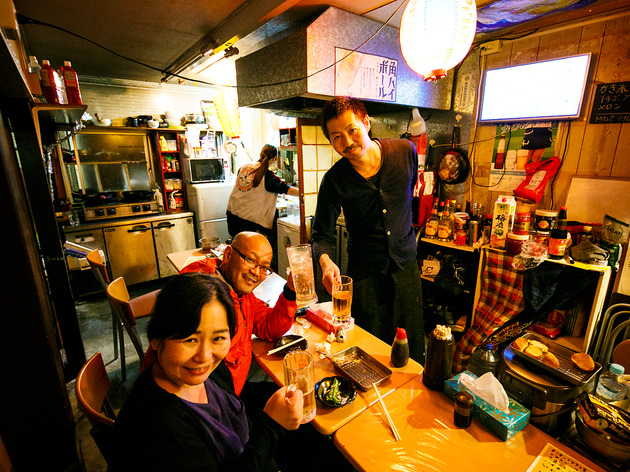 Most joints here are tiny and cheap, so go ahead, grab a seat and get to know the locals over a brew or three. Sakaemachi and other izakayas in Naha. 381 Asato, Naha-shi. 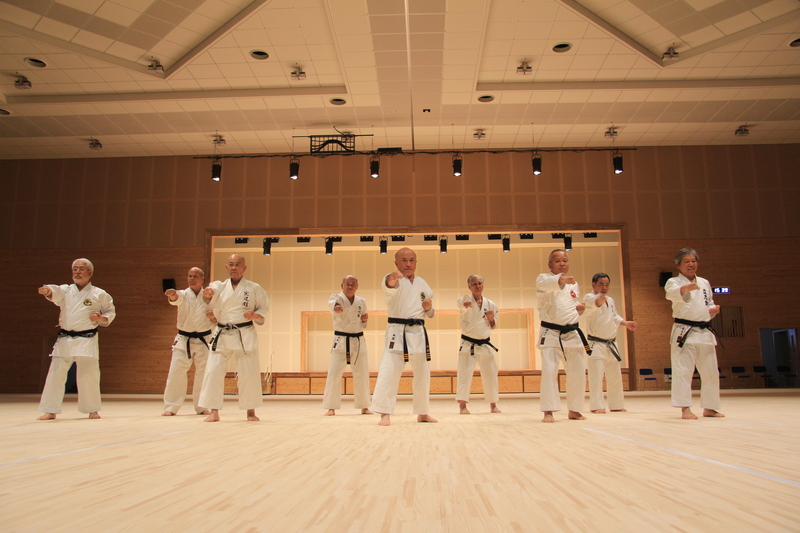 Confirmed as one of the new Olympic sports for the 2020 Games in Tokyo, karate actually traces its roots to Okinawa. 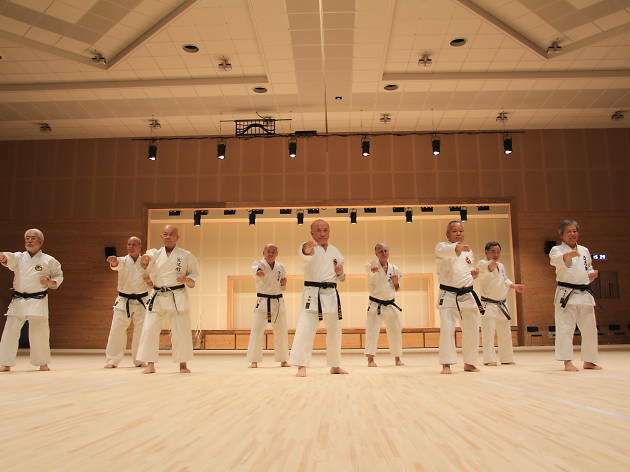 The Okinawa Karate Kaikan, a practice institution also dedicated to enlightening the public about all things related to the martial art, houses an arena that can hold four simultaneous matches and has room for 380 spectators, in addition to a training room. The small museum on the premises is open to the public. Okinawa Karate Kaikan. 854-1 Tomigusuku, Tomigusuku-shi. karatekaikan.jp/en. 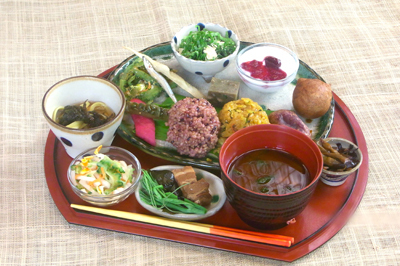 9am-9pm (exhibition until 6pm), closed Wed.
Want to study the secrets of healthy Okinawan cooking? 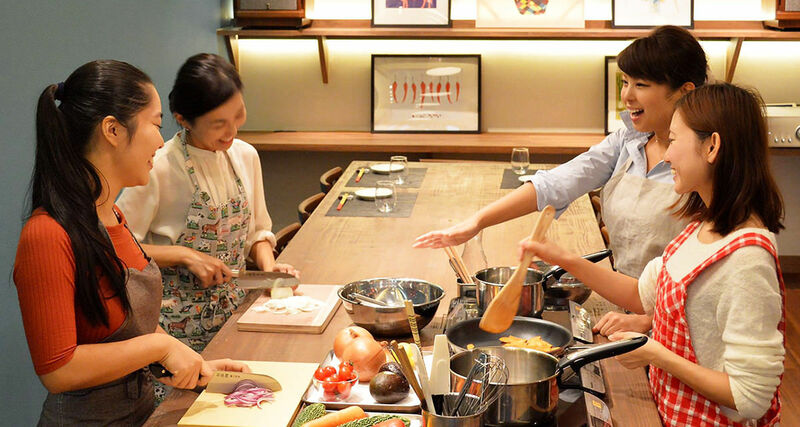 Book a class with one of the many culinary programme providers on the islands – our favourite is the English-speaking Taste of Okinawa in central Naha, which offers a three-hour class for ¥6,500. 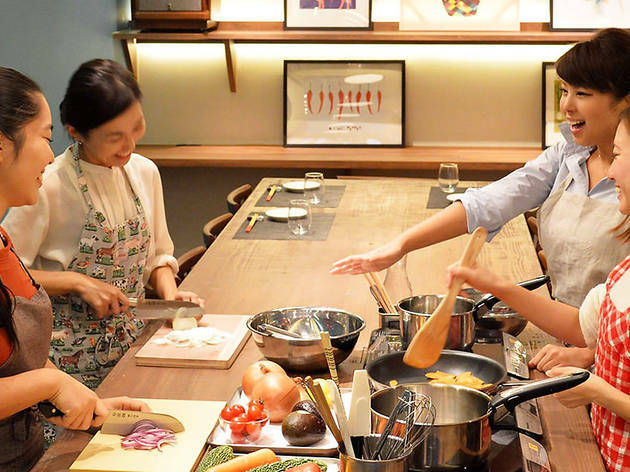 This deal includes a tour of the Kosetsu Ichiba market, where you'll learn about local ingredients, and a hands-on class centred on four dishes. Taste of Okinawa. 1-6-21 Tsuboya, Naha-shi. tasteof.okinawa. 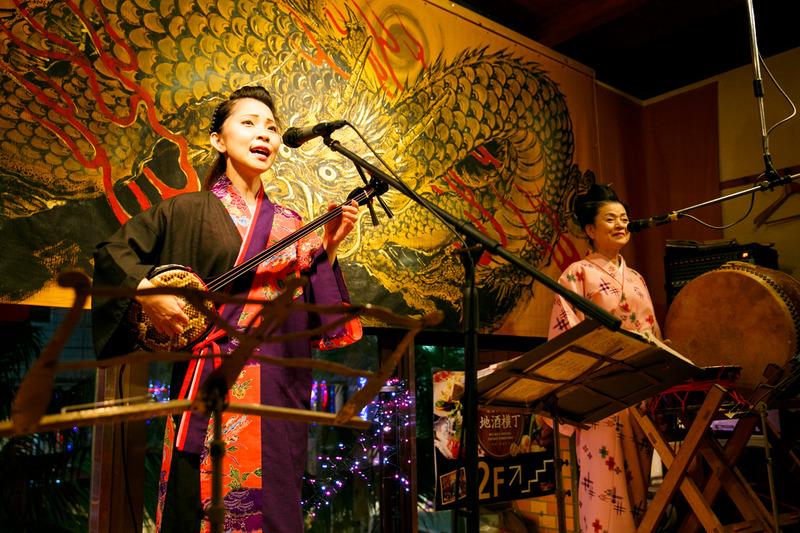 Naha is Okinawa's nightlife capital, with numerous noteworthy bars lining its streets. 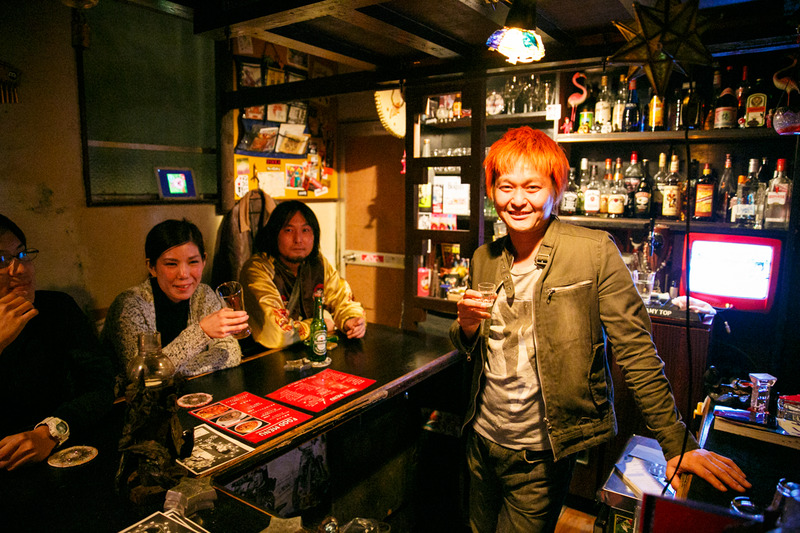 Look out for the Dojo Bar, run by a British karate practitioner, or head to the Sakurazaka area near the Kosetsu Ichiba market, where Okinawans go to drown their sorrows at watering holes like Dramingo, the domain of local musicians. Sakurazaka is also famed as a centre for gay bars. Dramingo and other bars. 2F, 3-6-6 Makishi, Naha-shi. From 8pm. 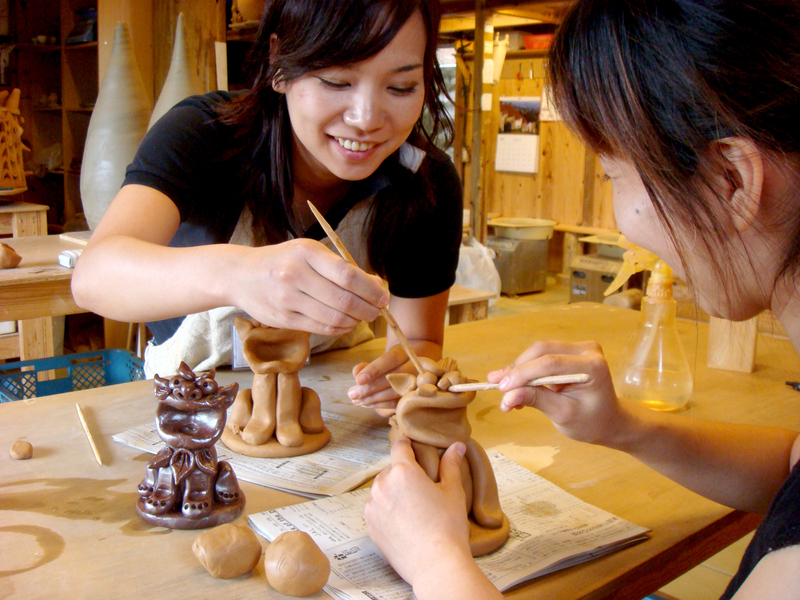 In addition to holding regular exhibitions highlighting the work of outstanding craftspeople, this ceramics gallery houses a shop where you can pick up pottery to take back home. 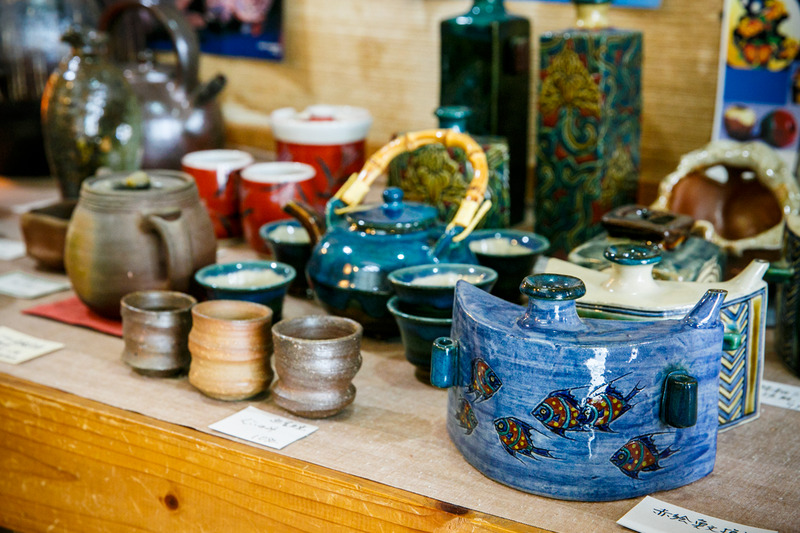 Admire glazed works made with materials native to Okinawa, unique lacquer art that makes good use of the humid climate, and antique dachibin vessels that were once used to transport awamori liquor. Seisa Gallery. 3-17-5 Kumoji, Naha-shi. 10am-7.30pm. A bustling market located in central Naha, Makishi consists of a main building where fresh fish, condiments and other edibles are sold on the ground floor and a food court on the second floor offers the opportunity to have your freshly bought ingredients cooked on the spot, and an arcade area packed with vendors dealing in obligatory Okinawan souvenirs like awamori and island trinkets. Don't miss Okinawa Grocery, which turns local, organic ingredients into tasty and healthy products that make for ideal gifts. 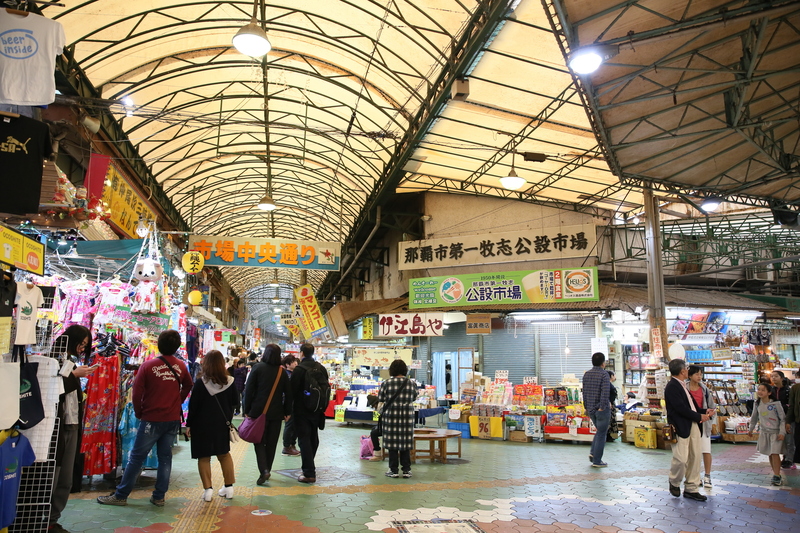 Makishi Kosetsu Ichiba market. 2-10-1 Matsuo, Naha-shi. 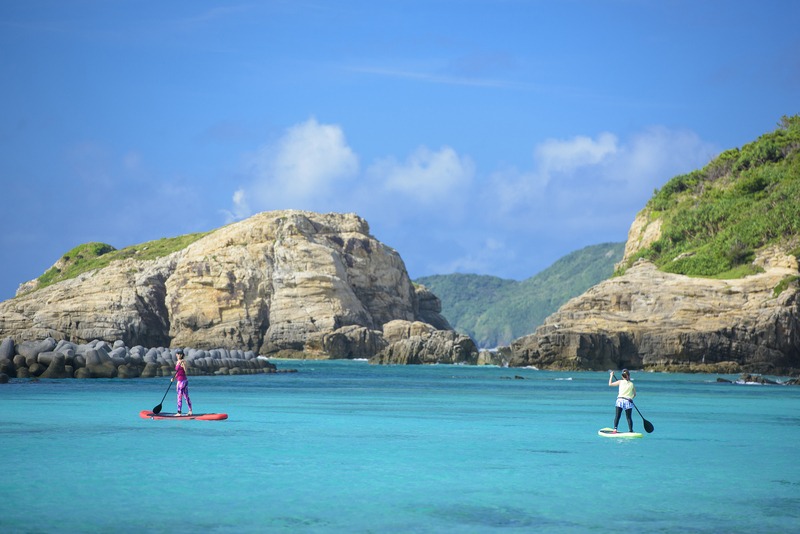 Okinawan people traditionally have the longest life expectancy in Japan, and the Ogimi area in the northern part of the main island is particularly famous in this regard. Known as Choju no Sato ('the home of longevity'), it has attracted attention for its local cuisine, said to hold the key to long life. 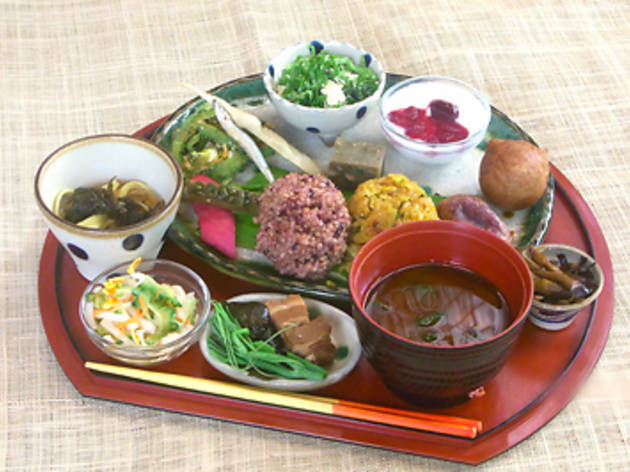 Try some veg-heavy, certifiably healthy fare at Emi no Mise, where the menu even includes a special 'Longevity Plate'. Emi no Mise. 61 Oganeku, Ogimi-mura, Kunigami-gun. 9am-5pm (last orders 4pm), closed Tue-Thu. With temperatures in the tropical range year round, cold sweets are an essential part of life on Ishigaki Island. 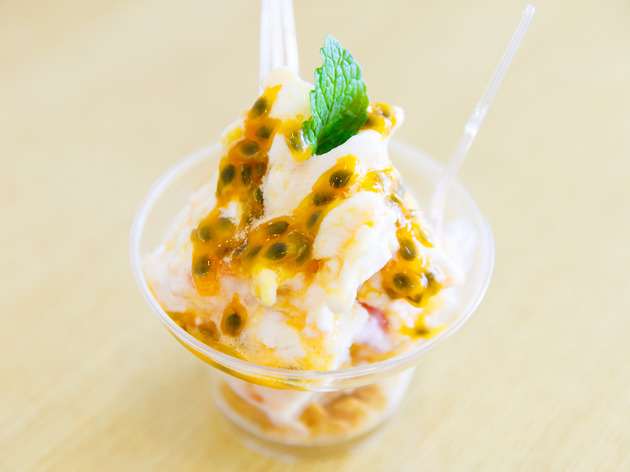 Found along Yui Road is Hau Tree Gelato, a cute little shop specialising in ice cream and gelato made with local fruit, including papaya, mango and passion fruit. Hau Tree Gelato and other kakigori shops. 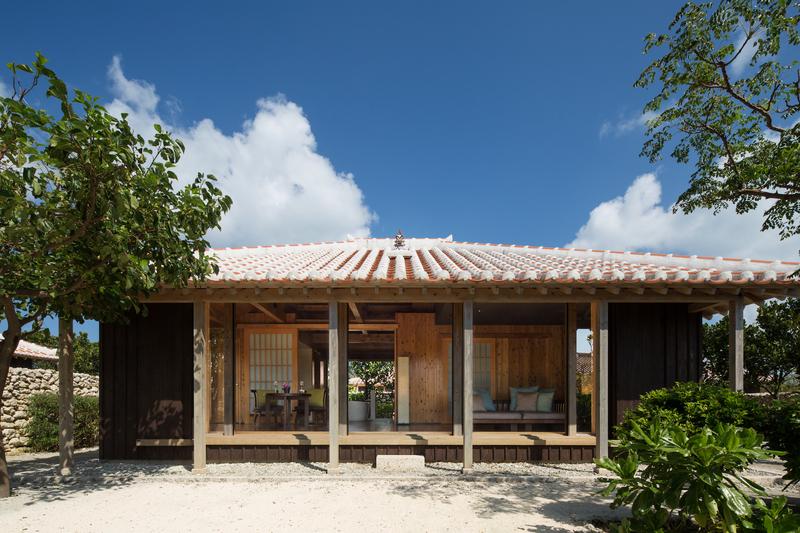 281 Okawa, Ishigaki-shi. 11am-7pm (Mar-Oct), 1.30pm-5.30pm (Nov, Feb), closed Dec, Jan.
A symbol of Okinawa, awamori liquor is used for both drinking and cooking and forms the foundation of the island's culinary culture. 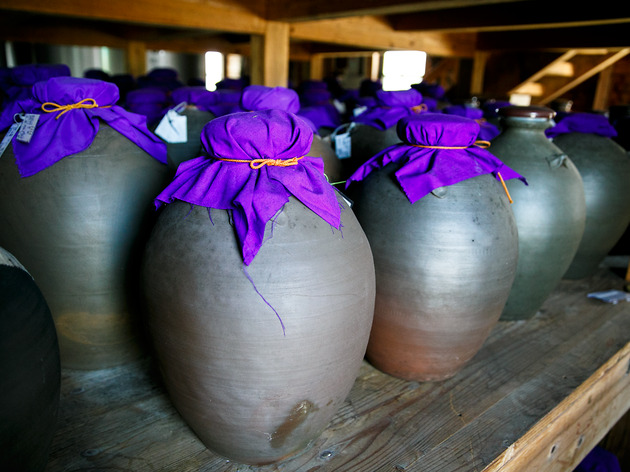 Conveniently accessible from Naha, the Chuko distillery offers English-language tours on weekdays, although you'll need to book in advance on their website. 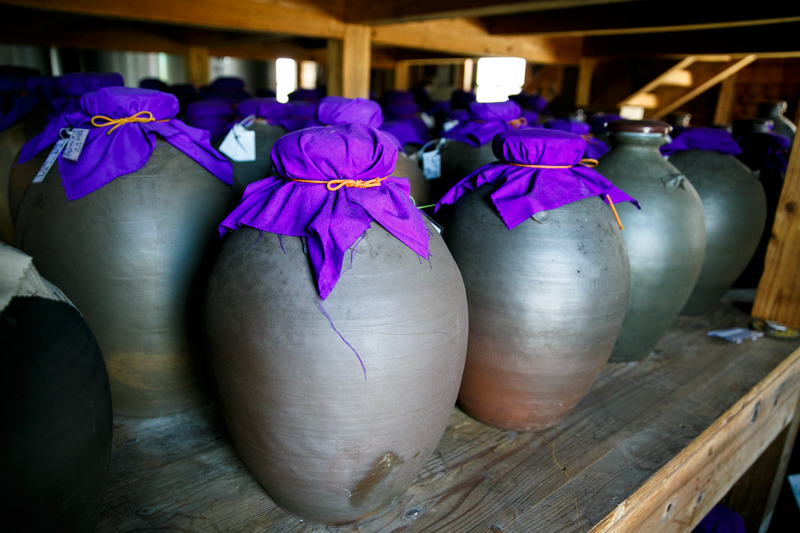 You'll get to see how the liquor and the earthenware pots it's stored in are made before ending with a sampling session. Chuko Distillery. 556-2 Iraha, Tomigusuku-shi. 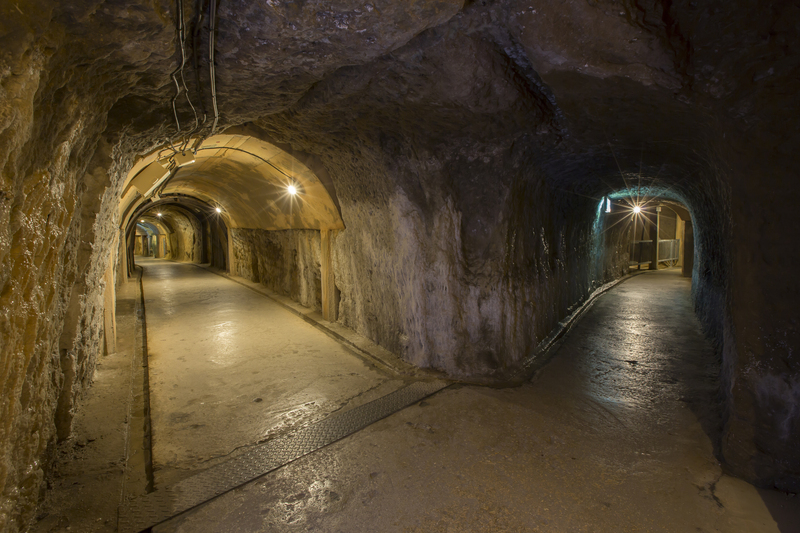 9am-6pm (last tours at 5pm). www.chuko-awamori.com/lang/en/index.php. 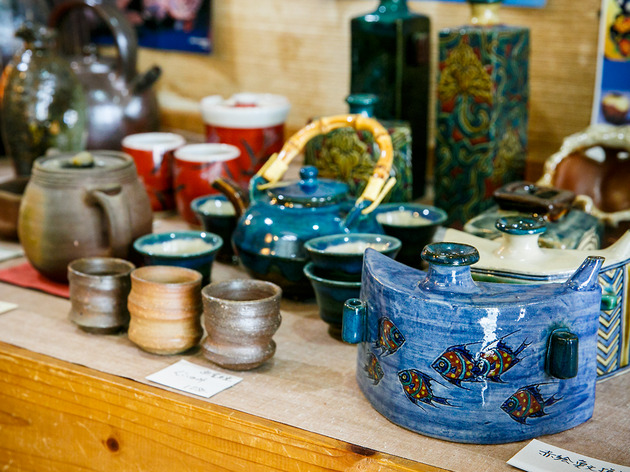 Japan’s southernmost shopping district consists of two arcades, both lined with small shops carrying local handicrafts such as Ryukyu glass, amulets and quirky, often random knickknacks. When you tire of all the browsing, head for one of the stylish cafés tucked in between the colourful stalls. Euglena Mall. 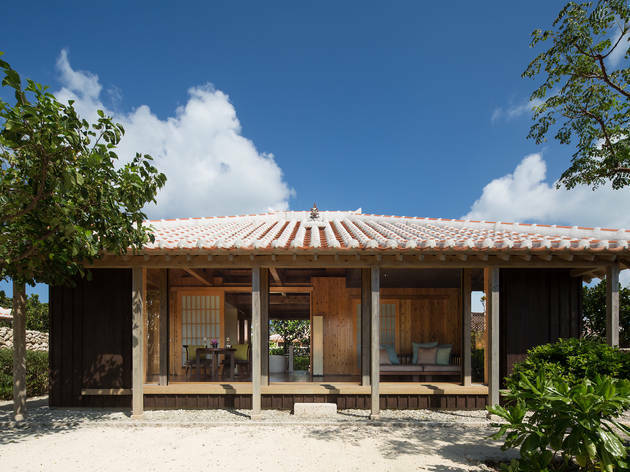 207 Okawa, Ishigaki-shi. 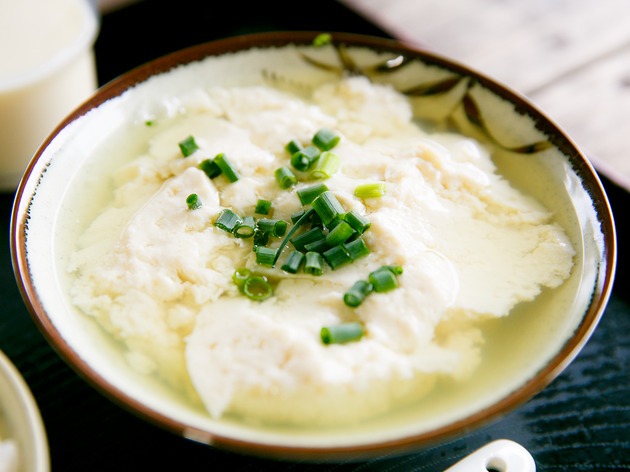 It's just as healthy and nutritious, but Okinawa's yushi dofu clearly differs from regular tofu in the texture department. 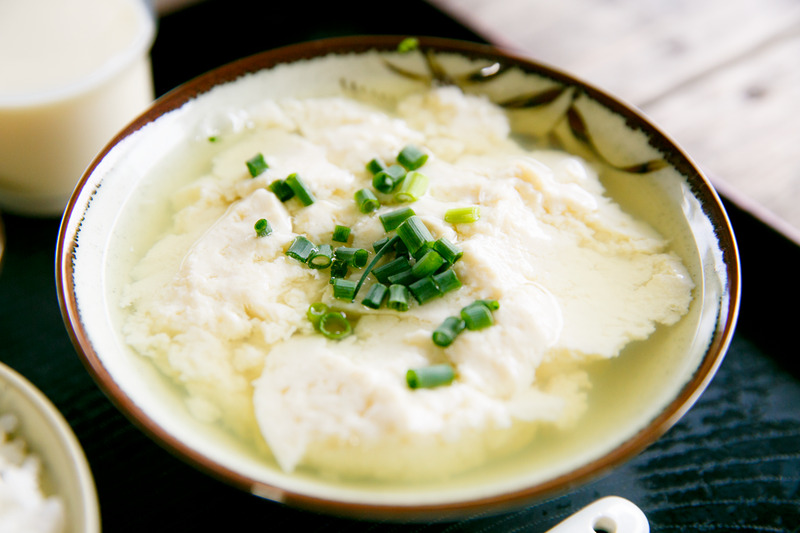 Melty, fluffy and soft, it's best sampled at Tofu no Higa, a popular restaurant sitting out in the sugarcane fields on Ishigaki Island. They serve up hot, freshly cooked tofu from 6.30am – use the table seasonings to add a little flavour to your glistening block. Tofu no Higa. 570 Ishigaki, Ishigaki-shi. 6.30am-3pm (or as long as stock lasts). 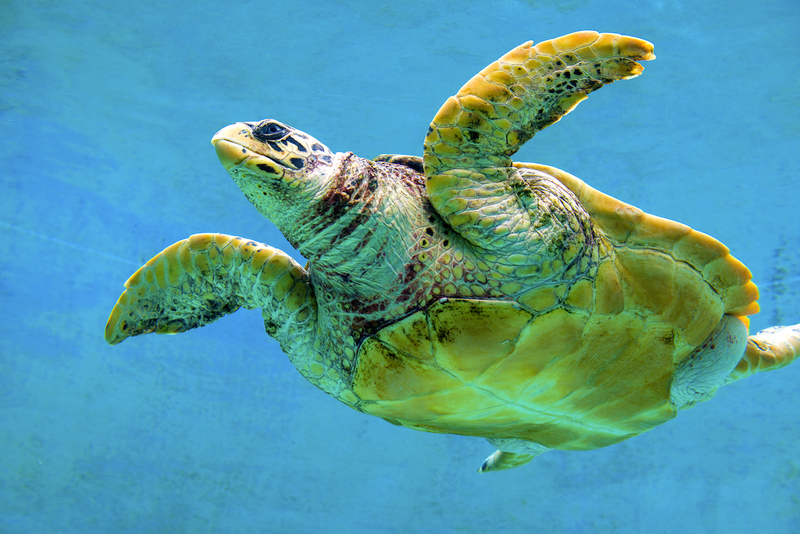 Between December and March, humpback whales gather in the seas around Okinawa to give birth and nurse their offspring. 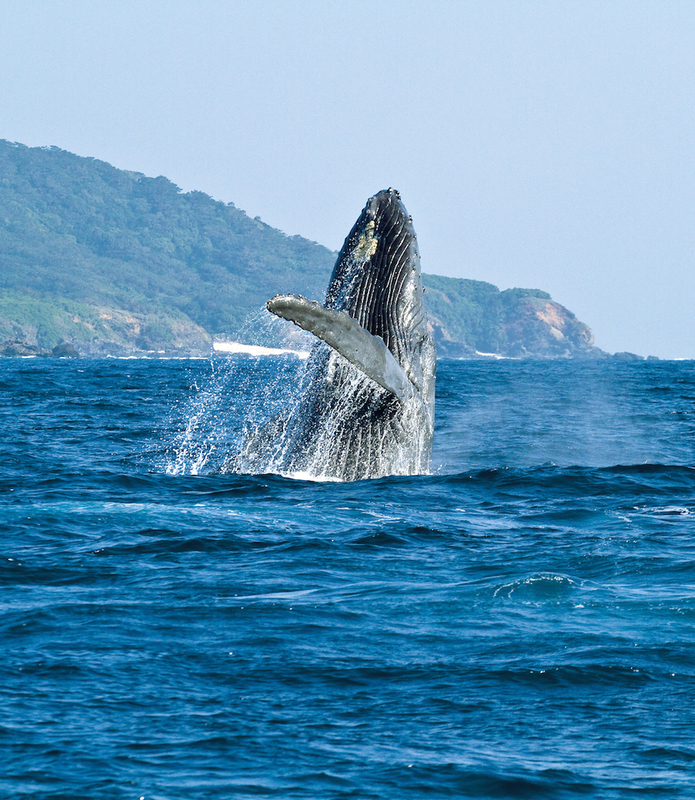 Several companies on the Kerama Islands offer whale-watching tours on small high-speed boats. 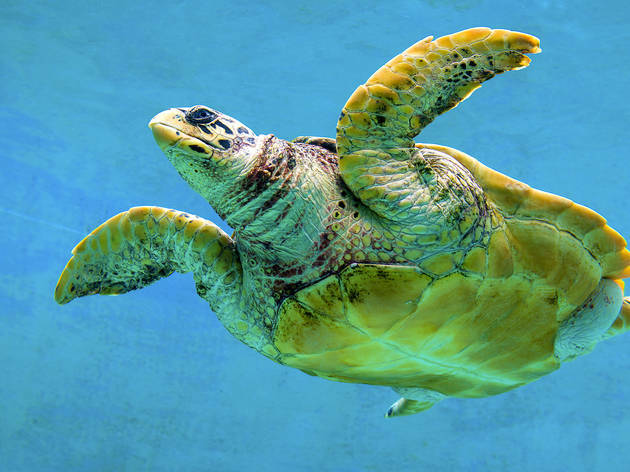 Book a tour online through Top Marine, Marine House Seasir or Cerulean Blue – all of which present a pretty good chance of coming across the mighty marine creatures. 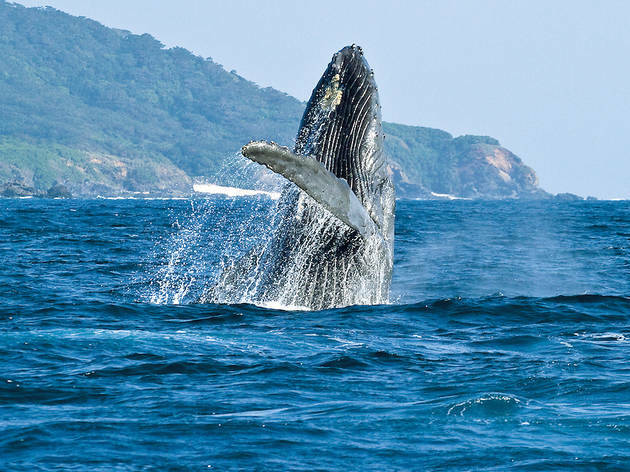 Whale-watching on the Kerama Islands. www.topmarine.jpn.com | www.seasir.com/en/whale.htm | www.cerulean-blue.co.jp/whale-watching-en. During the 20th century, as Japan's mingei or folk crafts movement sought to rediscover the beauty of everyday crafts, the Okinawan form of pottery known as Yachimun also experienced a renaissance. Lined with historic pottery kilns, Yachimun Street in central Naha is home to Ikutoen, where you can try your hand at the art by working with a potter's wheel, applying painted designs and making your own shisa statue. Ikutoen. 1-22-33 Tsuboya, Naha-shi. 9.30am-6.30pm. www.ikutouen.com. 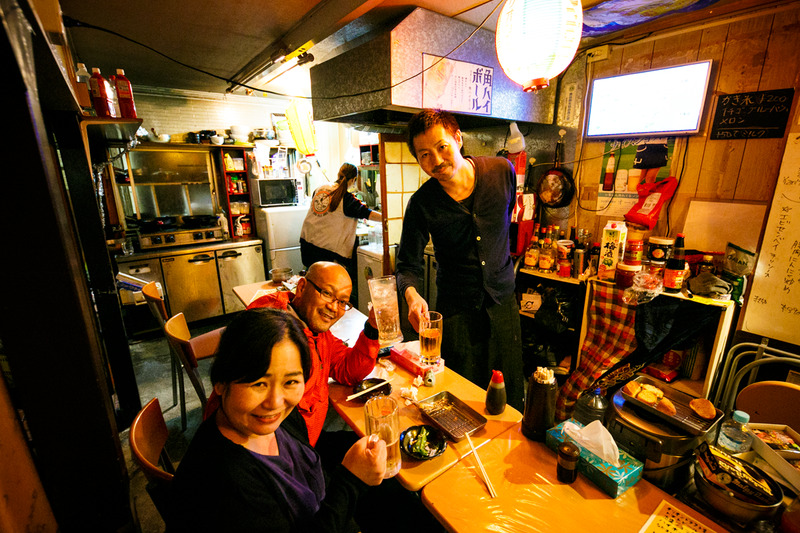 Located just south of Kokusai-dori in Naha, Yataimura ('street stall village') is a new centre for local nightlife that's always packed with travellers. 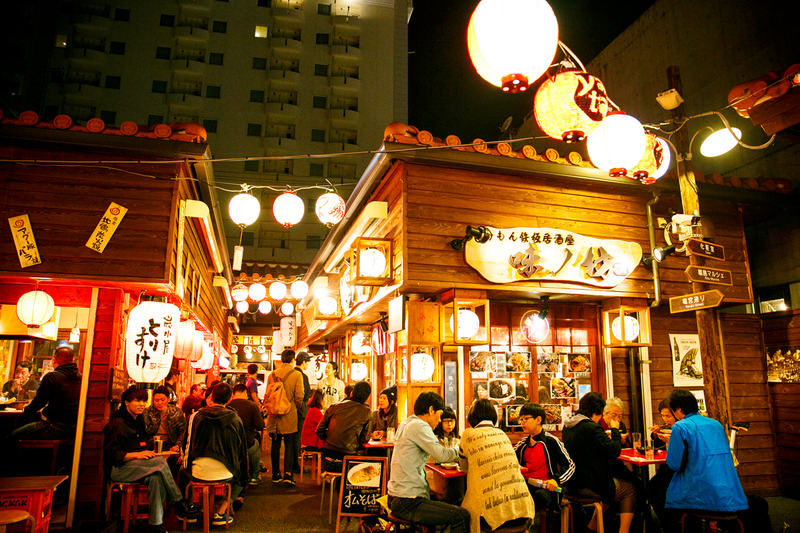 In addition to Okinawan delicacies, the intimate stalls deal in sushi, teppanyaki and deep-fried kushiage skewers. 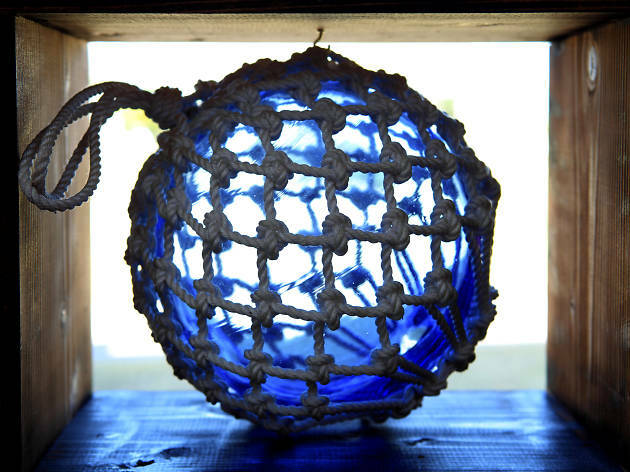 We're fans of Yataimura's own special-edition awamori, available at all stalls for ¥200 per glass. Yataimura. 3-11-16 & 17 Makishi, Naha-shi. 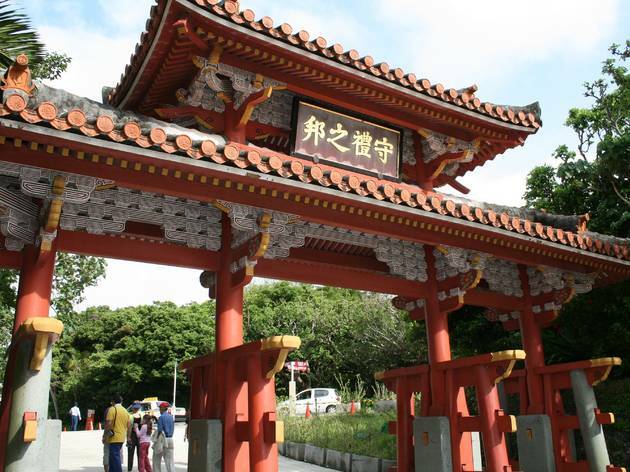 Established in the 15th century, the trade-reliant Ryukyu Kingdom lasted for a good 450 years and was centred on the vibrantly vermilion-coloured Shuri Castle. 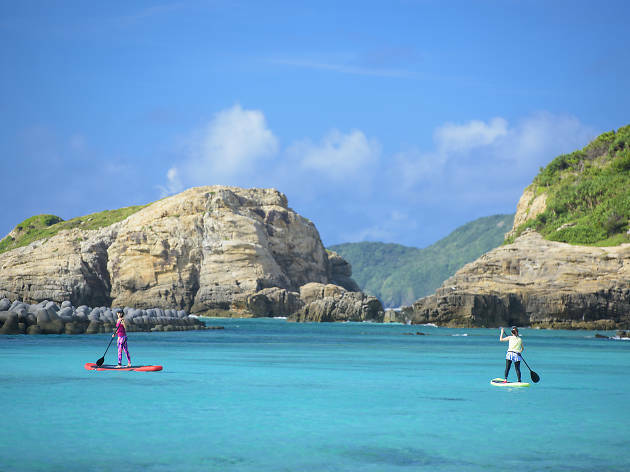 Although destroyed during the Battle of Okinawa in 1945, it's been faithfully rebuilt based on an 18th-century model and is an essential destination for anyone visiting Okinawa. 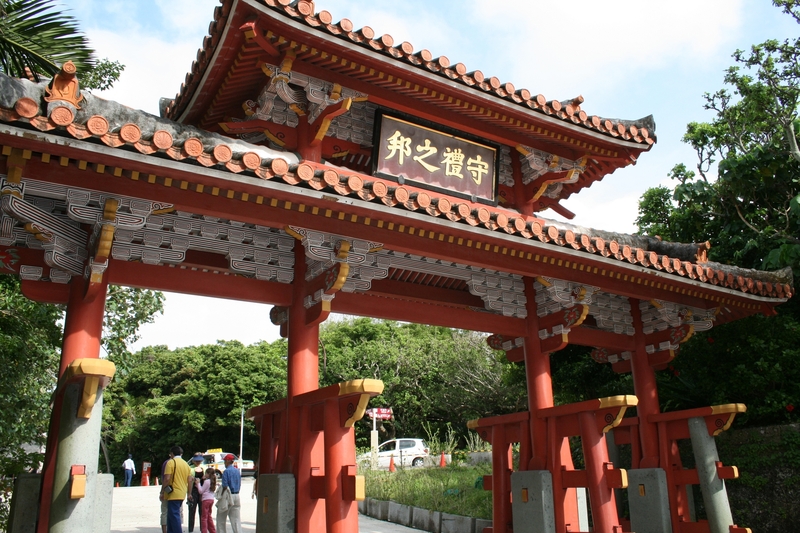 Shuri Castle. 1-2 Shurikinjocho, Naha-shi. oki-park.jp/shurijo/en.